Altis Industries. Hire. Sales. Service. Altis has operated as a local family run business for the past 30 years. 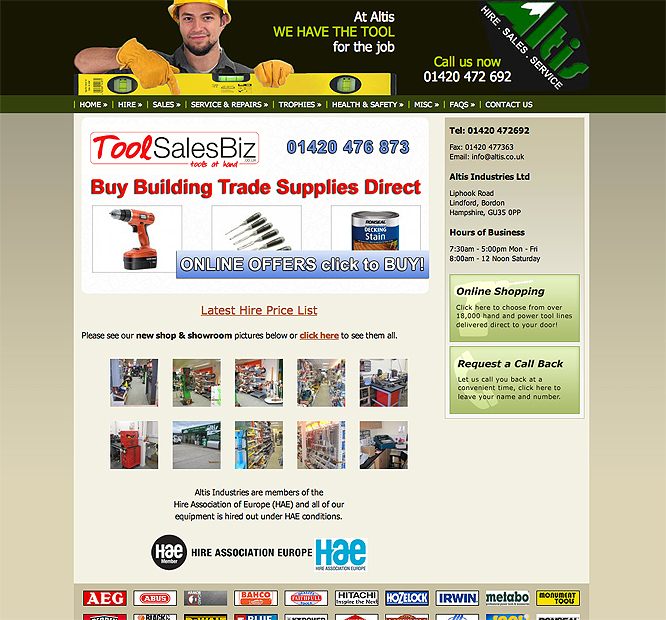 Altis was formed in 1981 that started as a small hire, sales and service tool hiring business. It has built its reputation on the quality of products and services that our customers have come to expect. Altis aims not only to maintain this reputation but also to build upon it! Altis Industries are members of the Hire Association of Europe (HAE) and all of their equipment is hired out under HAE conditions. Copyright Sure Communication (sur.co.uk) Ltd.